Well rested and seeing sunshine, we made our way out to do some more sight seeing. We decided to stick to museums and indoor activities on the really rainy days. 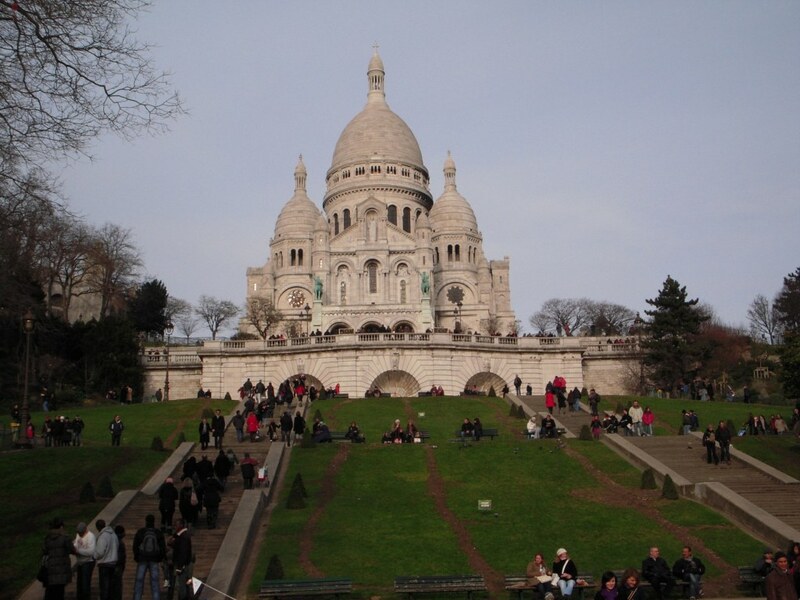 Today was not one of them, so we went to Montmartre to see Sacré-Cœur, a quite controversial church. It took 39 years to build and was only completed in 1914. Unfortunately, you cannot take photos inside the church, only outside, so I snapped too many :). It was hard to follow the rules when no one else was, but I am always the one that gets in trouble for skipping the rules! 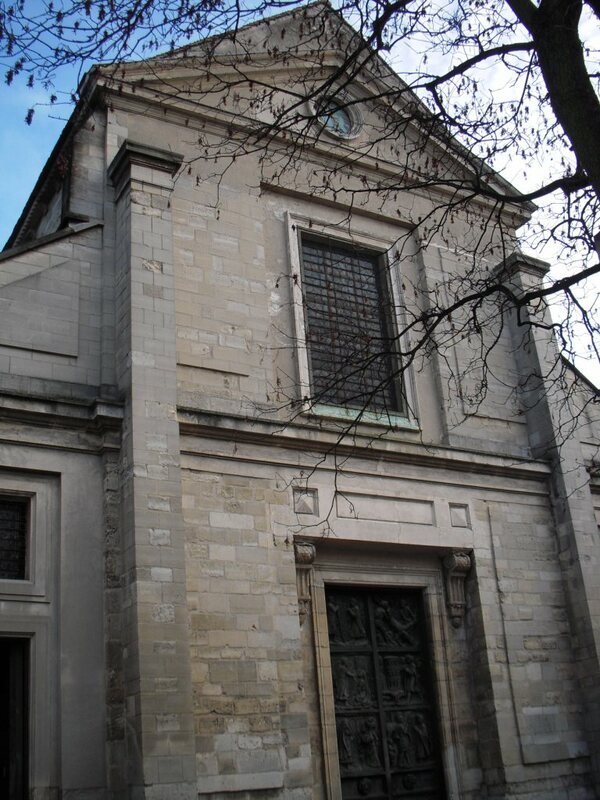 Next door was the Church of Saint Peter of Montmartre. 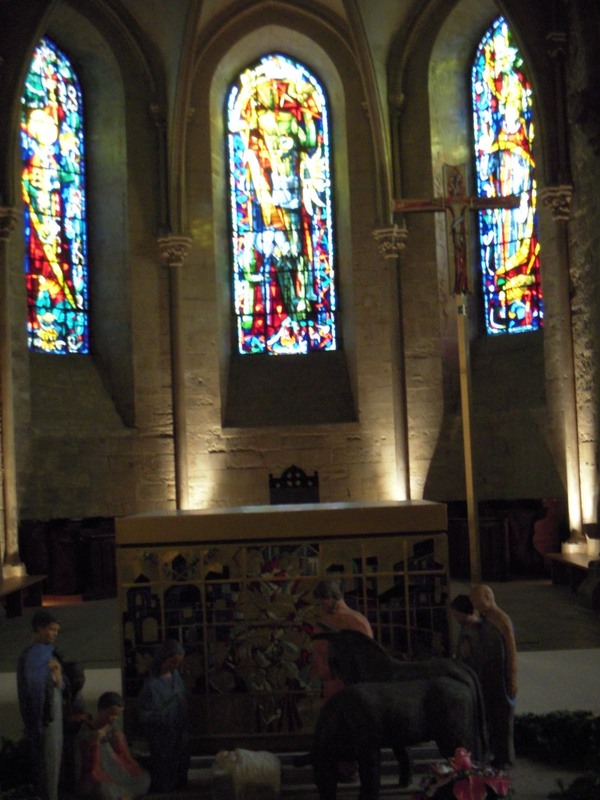 It dates back to 1096, but was consecrated by the Pope in 1147. Inside, you could see some of the original structures, but it has had to be rebuilt over time. We were allowed photos while inside this church. 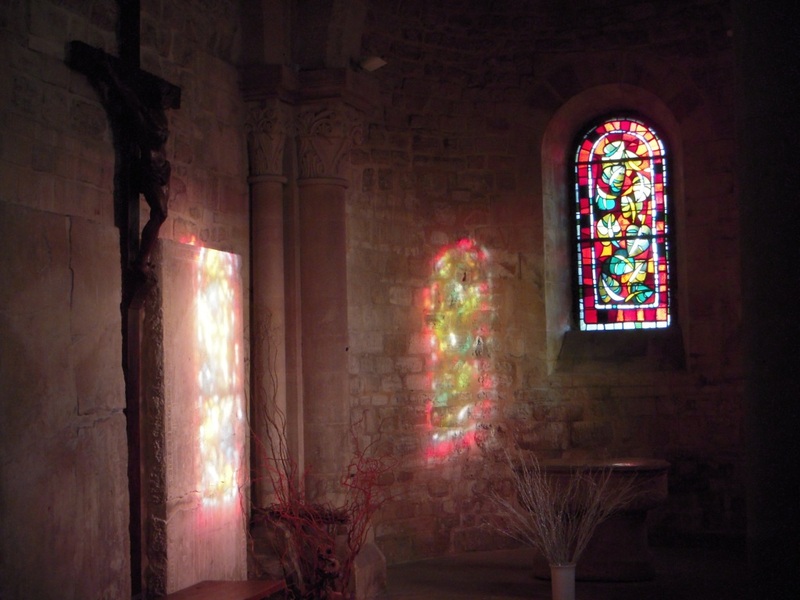 There was, of course, a lot of beautiful stained glass. The light was hitting this piece just right to reflect back onto several walls. Everyone still has their Christmas decorations up – this is a nativity scene at the front of the altar. 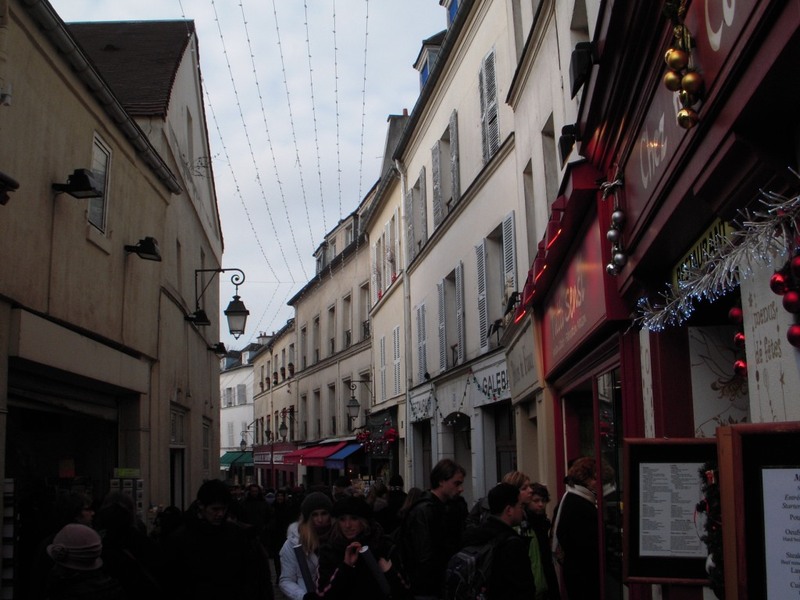 Outside St. Pierre, the streets are bustling with tourists. 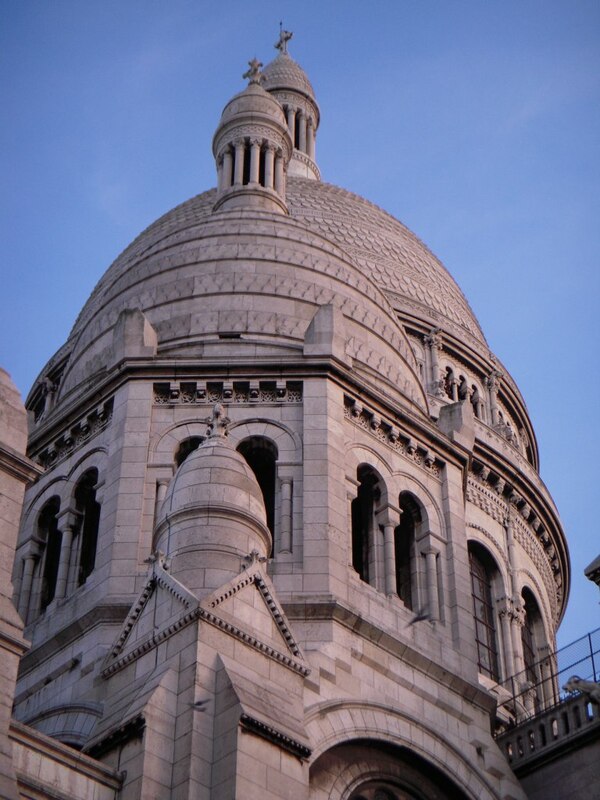 The Montmartre neighborhood is a mecca for artists and was the center of the bohemian movement of the world in the late 1800s. 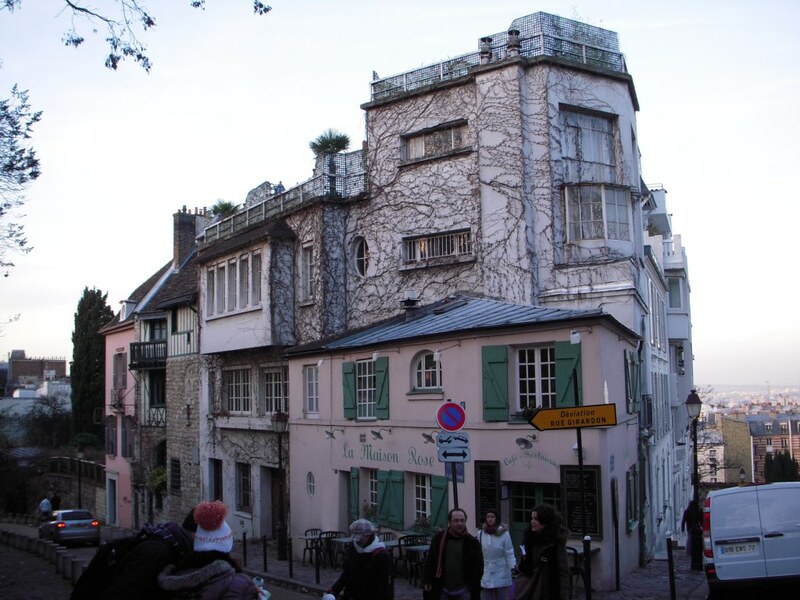 Salvador Dali, Pablo Picasso, Vincent van Gogh, and Claude Monet lived and painted in Montmartre. It is also where the film Moulin Rouge (and many others, of course) is set. We ducked into a little restaurant for some lunch. 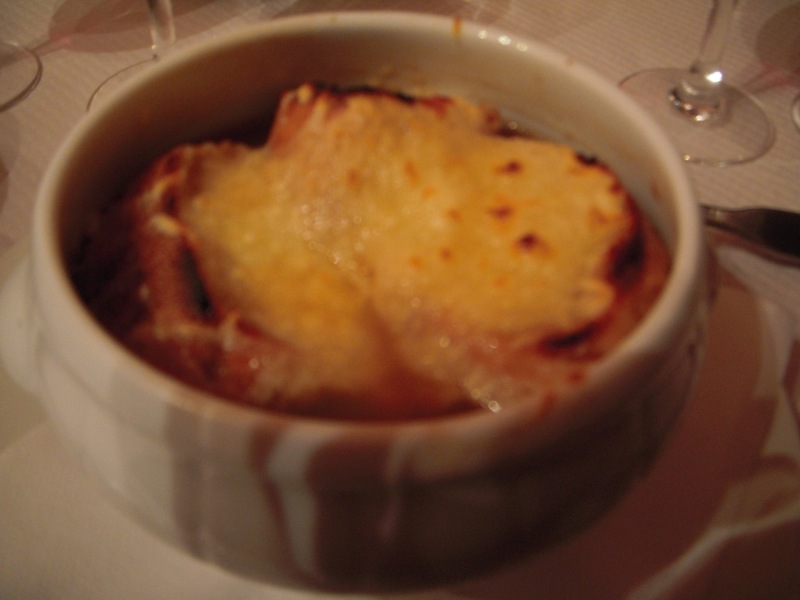 I had Onion Soup (oh,dear, so good) and bœuf bourguignon. Scott had a tomato salad with his bœuf bourguignon. One of the first French words we had to learn was “l’ognion” to ensure every meal would not be ruined for my onion hater. Just around the corner from our lunch spot was a small Salvador Dali gallery. None of his most famous works were there – they are all in London – but it was interesting to learn more about him and what inspired his art. 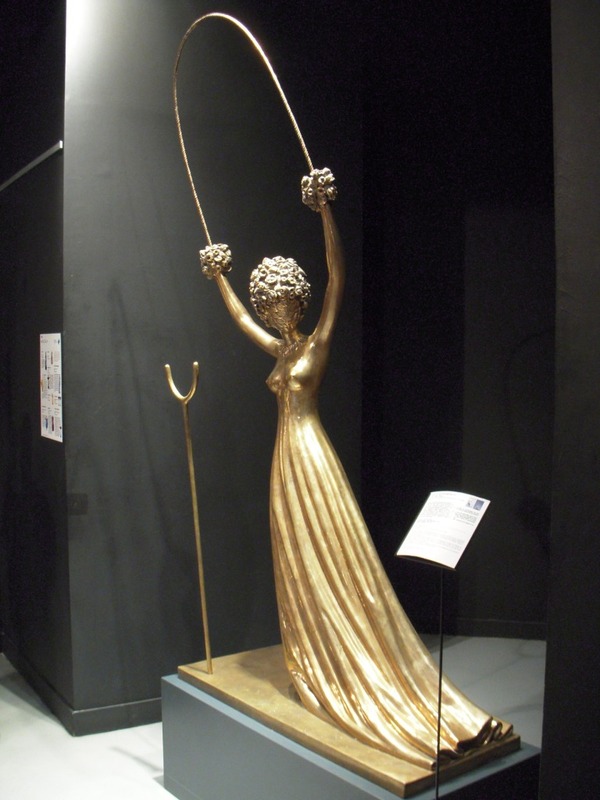 There were quite a few sculptures formed from wax moldings he had completed throughout his life. 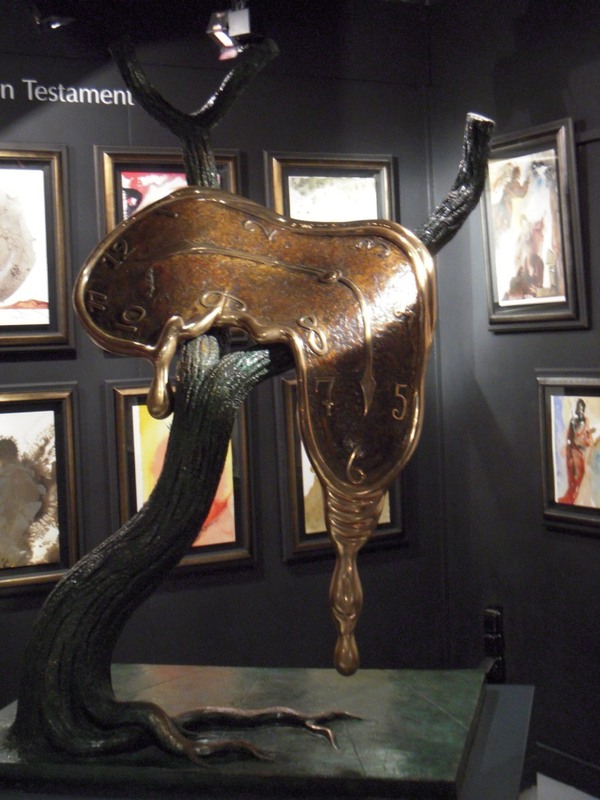 Of course, many of the famous melting pocket watch from The Persistence of Time. And then I realized we needed to get back on track if we were going to see everything we had planned. So I was the ultimate tourist. Reading the book on the street. Scott was in shock (I usually will wander until I find what I’m looking for – I hate pulling out the tourist book). 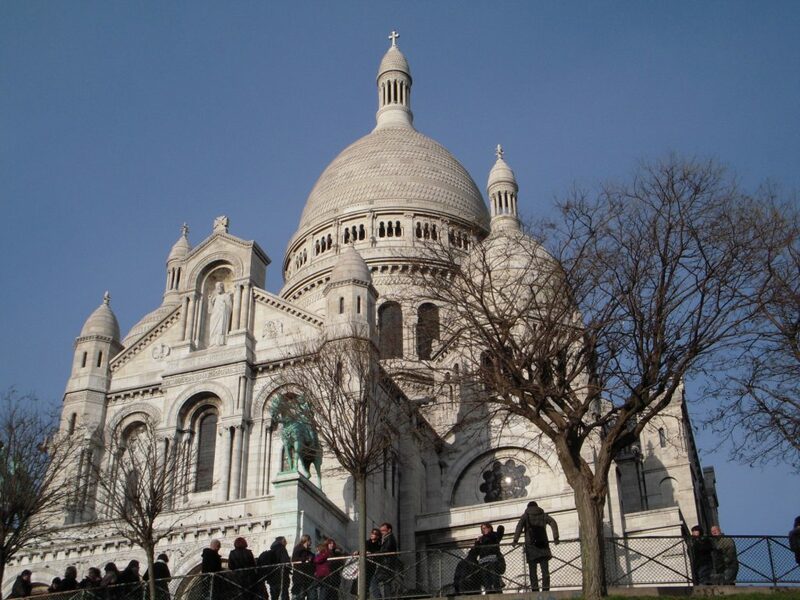 We made it back to where we started – Basilique du Sacré-Cœur from the backside. We decided next up was the Marais neighborhood. This neighborhood has a lot of sites we’ll need to come back to see during the day, but we wandered through the neighborhood, picking up it’s vibe just in time for dinner. 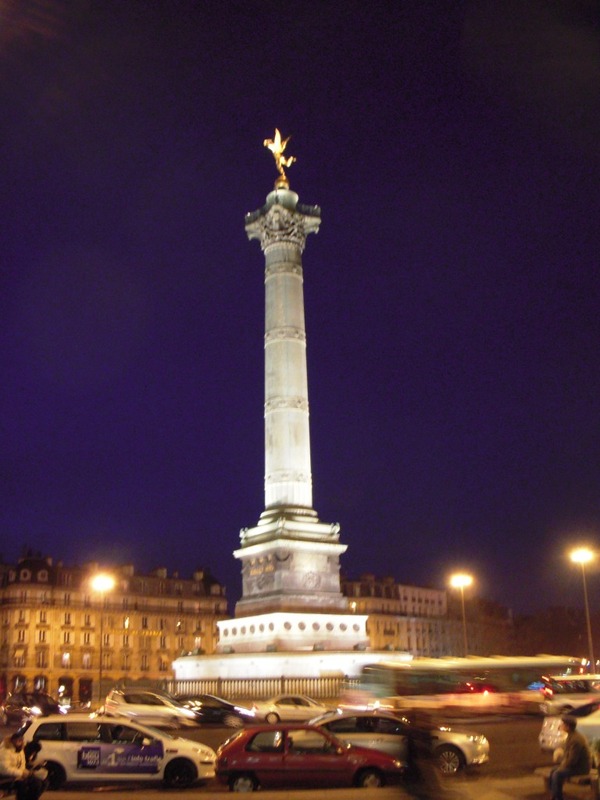 We got off the subway at the Bastille station, and exited to find the Place de la Bastille and the Colonne de Juillet or the July Column, a monument to the Revolution of 1830. Lastly, we made a stop at a cafe in Marais for dinner. 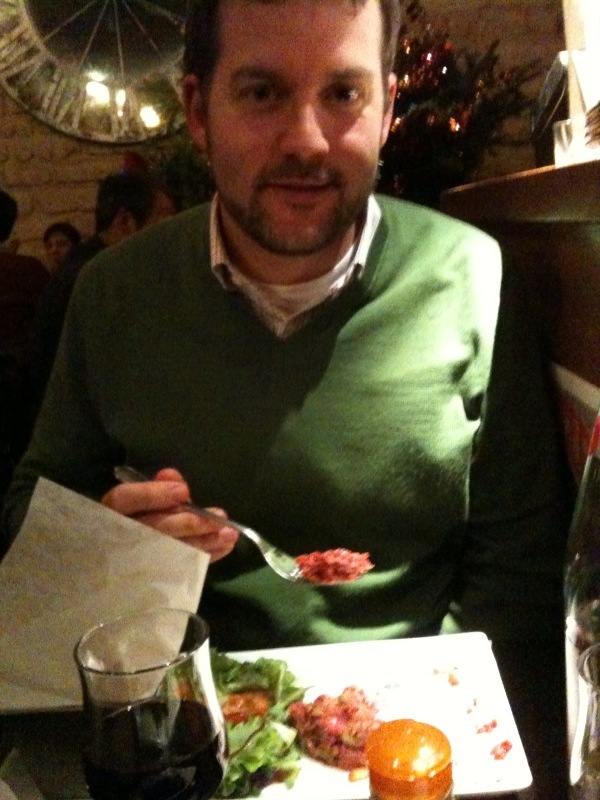 I had moules frites (mussels with french fries) and Scott had Steak Tartare. It was served almost like a raw hamburger patty with onions (gasp) and pickles. The steak is a higher quality meat than our traditional hamburger, but it is ground and formed into a patty. He thought it was delicious, despite the onions. I think it’s hilarious that he can eat an entire 1/2 pound of raw meat and leave behind a plate of onions. The rain is coming down hard, so I suspect day 3 will be Musee d’Orsay or the Louvre. Boinsoir! That looks like so much fun!!!! And, Scott TarTar looks delicious! Wow I’m going on the next trip with you guys or at least I’m going to tell you were I want to go and you fix the trip excursions and places to go. I could have done without the picture of Scott eating raw hamburger meat!!! Other than that, the pictures were awesome! 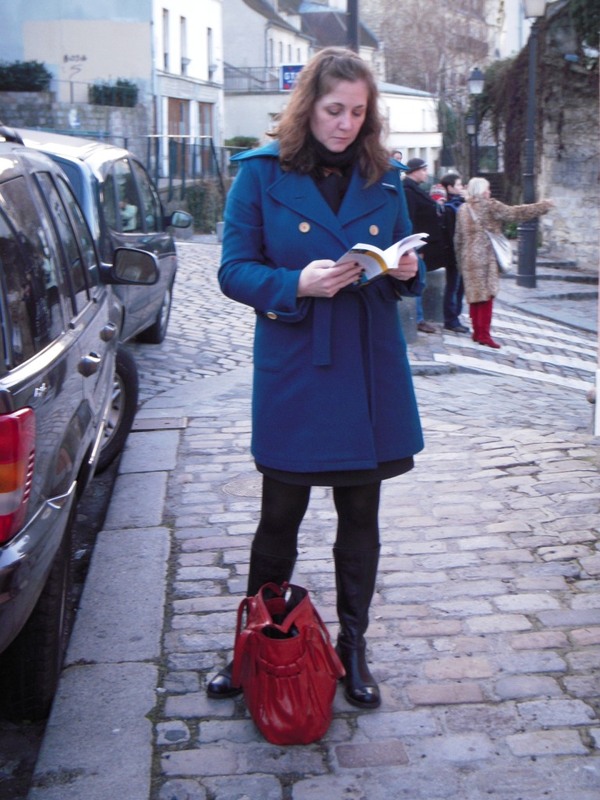 At least you look like a stylish tourista when you stopped to read the travel guide! Hopefully you won’t be touring solo tomorrow when Scott wakes up with food poisoning from the tartar!!! Have fun guys! You make all this look like fun. Keep up the posting… Love it. I am with you with the Gothic architecture… amazing.